These metal ornaments pair great with our Christmas Mini Sessions! They are also a great way to share your portraits and can be a wonderful Christmas gift for loved ones! 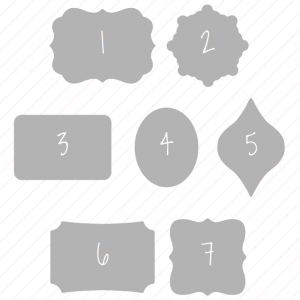 Choose from 7 shapes (click icons to the right)! In addition, you can choose to have different images or the same image on the front and back of your ornaments. You will also choose the text and photos for any of these designs. Ornaments are ordered through your gallery. You will receive and approve a proof before ordering. IMPORTANT NOTE:Small imperfections will occasionally be present in the surface of metal prints. ProDPI will not re-make orders with these imperfections present. These imperfections are unavoidable and we will take every precaution to ensure that they are not on important areas of your image.